How will you react if you are told that your car insurance claim of Rs. 15,000 will be processed in a month’s time? Maybe, you will have a look at the calendar to check the year you are living in! A few years ago, taking a month to settle car insurance claims wouldn’t sound surprising. However, today’s digital-first insurers might settle claims in just a day, if not within hours. In 2017, India had a certain comfort level with the digital world. And it is getting even more comfortable as more and more industries are going digital. For more than 100 years, the insurance industry has relied on a traditional working methodology to function smoothly and cater to the market requirements. By leveraging digitization and transforming core processes to make them more customer friendly, insurers can capitalize on the Indian insurance sector’s untapped potential. Having a physical presence and customer-facing executives comes with its own advantages and disadvantages. Now that the users are comfortable transacting online without an executive’s intervention, the need for brick and mortar structures has diminished for certain products. Simple insurance products can be looked up like any other product online that does not require much contemplation and can be purchased easily. This has liberated the earlier confined distribution model and made it possible to reach more customers even in tier one and tier two cities. Not only the purchase journey but also the customer servicing aspect of insurance has become more user-friendly. 24 x 7 customer service contact numbers, mobile applications, social media handles, etc. are some of the touch points that are available all the time. Any query and grievance can be handled almost instantaneously. Social Media platforms such as Facebook, Twitter, Instagram, etc. have become an integral part of people’s lives. They facilitate two-way interactions. Customers can get to know about insurance products on these platforms as well as post their queries on it. Insurance companies are looking at social media for engagement, customer acquisition, customer retention, and grievance redressal. An insurance company’s digital marketers can search for their preferred audience and run effective campaigns to reach out to them. Technology has enabled insurance providers to understand their customers and offer them products that are not too layered. Knowing a car owner helps to analyze the exposure to risk and facilitates underwriting. This helps the insurance company to offer, in a way, a customized car insurance policy to the car owner. If an insurance company has enough data about the insured person’s risk exposure, the premium can be predicted appropriately and adequate covers can be suggested. Earlier, the premium rates depended on the vehicle’s make and model along with the age and other such generic details. Now, it has become much more specific. The car owner’s age, marital status, claims history, driving pattern, etc. help insurers determine the car owner’s risk profile. Once a risk profile is created and assessed, premium rates can be decided accordingly. Thus, a good driver doesn’t have to pay more premium just because others drive badly. The process is customized and not generalized. 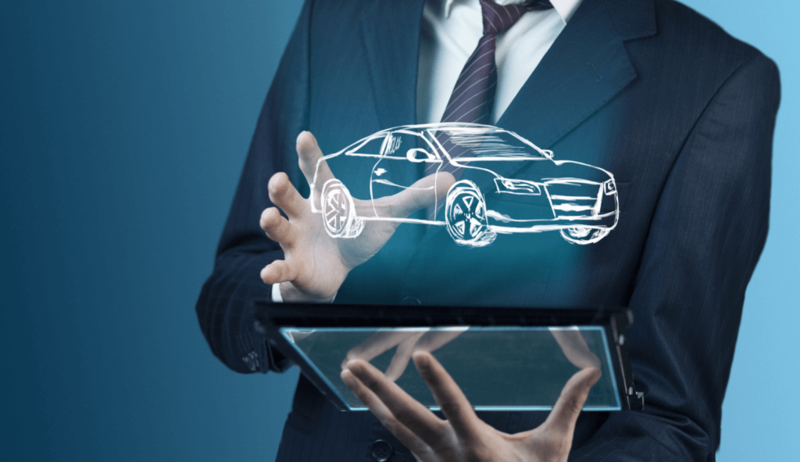 Telematics helps the car insurance industry to become proactive instead of reactive. This proactive approach and reliance on data to determine the risk helps insurance providers determine apt premium rates. Better premium rates coupled with discounts result in customer satisfaction and has the potential to trigger customer delight. Let’s consider the following cases. In the first case, the insured person has not installed any telematics device or anti-theft device. Thus, the insurance provider isn’t aware of how the owner drives, what is the average monthly distance traveled, is the route taken dangerous? etc. Not installing anti-theft devices makes the car vulnerable to theft. Therefore, as the insurer does not have enough information to determine the risks faced by the car owner, the premium is going to be generic and most probably on the higher side. In the second case, the insured person has installed a tracking application as a part of the telematics integration that tells the insurance company about the car owner’s risk profile. The owner has also installed anti-theft devices and has no history of rash driving. Considering that the person travels within the city and drives safe, the premium charged will be less. This way, the customer gets a fair price and is more likely to be loyal in the long run. With easy-to-navigate websites and mobile applications, purchasing car insurance policies has become extremely easy and renewing them has become easier. The future of car insurance as a segment will depend on the extent of conversations that happen between insurance providers and customers. These conversations will give insights related to customer behavior. Underwriting, discounts and pricing will become more customer-centric. Digital innovations will bring customers and insurance providers closer and will lead to a more productive car insurance industry.